Your customers want seamless navigation from one channel to other, especially on mobile device. Build omnichannel marketing experience irrespective of the display screen size and offer unified customer experience through 360-degree lead profiling in Aritic PinPoint. Add the device granularity widget in Aritic PinPoint to track the type of device your customers are using. 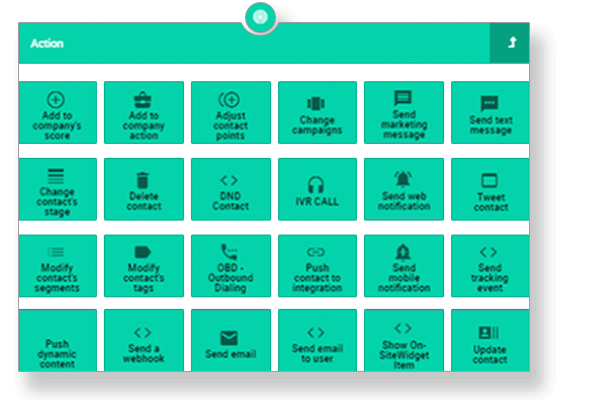 Use this widget to optimize your automation campaigns and communication messages for mobile-only users specifically. Target the right people quickly and effectively with tailored mobile marketing campaigns. Find and attract users who are most likely to engage with your app and continue to stay loyal, and convert them into new users. Go beyond app engagement metrics; listen to what your app users want and monitor how they are engaging with your mobile campaigns across all the other touch points. Base your marketing campaigns on comprehensive analytics and increase app user retention by connecting with users who have lapsed with personalized messages on mobile as well as other communication channels. A/B test landing pages, email campaigns, push campaigns, and other marketing communications for mobile-only users to find out the winning result. Optimize and improve your campaigns based on the A/B tests, and see mobile conversions going up in no time. Follow Google analytics and SERP rankings to monitor the search types your target audience does on their mobile devices. Refine your mobile-SEO strategy to get found by your mobile-only users across popular search engines like Google, Yahoo, and Bing. Show relevant and responsive contents to kickstart customer activation. Create tailored buyer persona for mobile-only users that includes background, job description, source of information, preferred type of content, and current lifecycle stage. Monitor your target audience’s mobile habits like how much time spent in reading your blog on mobile device or how much web usage happened. Make user experience smooth on smartphones for all marketing stages. Use mobile optimized and responsive marketing templates available within Aritic PinPoint. Be it mobile emails or landing pages, provide optimized content with clear CTA buttons that are easy to access and can facilitate clicks. Track and monitor mobile campaigns and analyze data for campaign improvements. Monitor mobile behavior data to understand how your mobile content performed. Track mobile conversion data to find out which landing pages or form have triggered maximum conversions, and which campaign needs improvement. Seamless integration with Twilio for SMS campaigns. 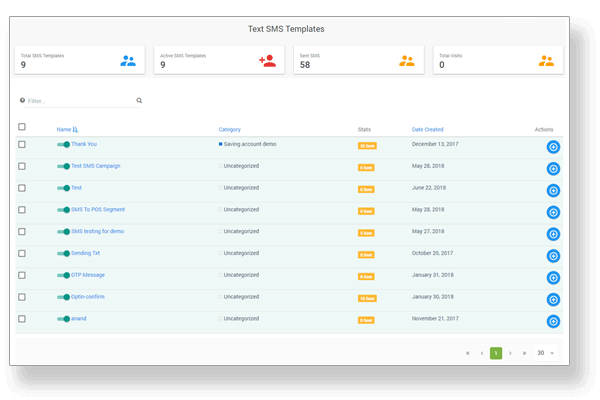 Integrate Twilio in less than a minute with no IT help at all, and get started with targeted SMS campaigns. Track, monitor, A/B test and engage mobile users with relevant SMS campaigns. 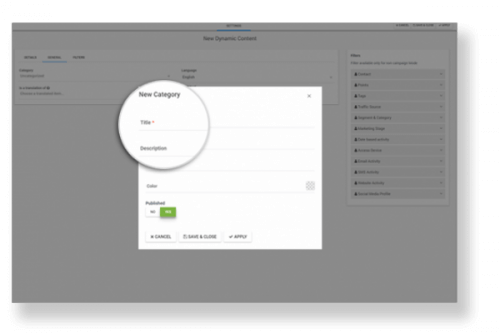 Create and launch dynamic push notification campaigns based on user location, in-app behavior, engagement rates, and other details tied to the contact, even when they are not using your app. Send tailored in-app notifications to trigger app engagement and direct user’s attention to specific actions and in-app features.